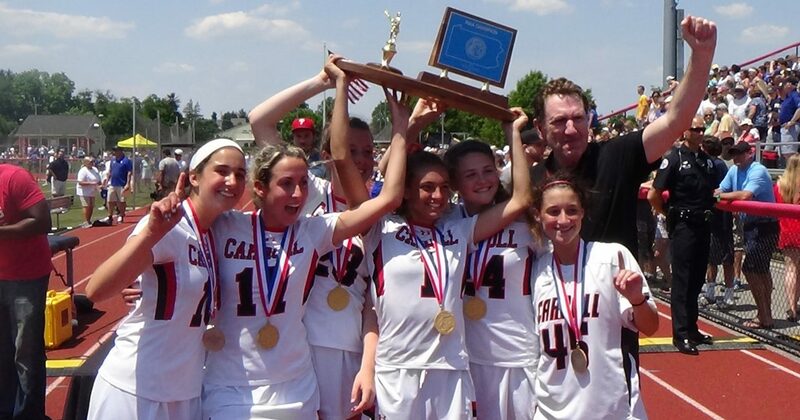 The final seconds were agonizing, but the Archbishop Carroll girls’ lacrosse team faced the adversity with steadfast resolve. Because of that, the Patriots are the PIAA 3A state champions. 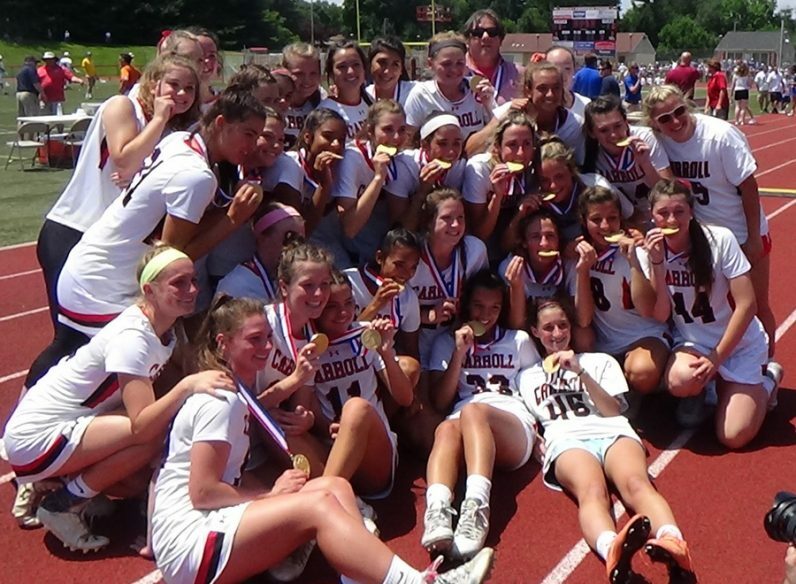 On Saturday afternoon, June 10, at West Chester East High School, Carroll defeated Springfield (Delco), 9-8, and captured its first-ever lacrosse title. For the past 17 years, Carroll has dominated the Catholic League by going undefeated in both the regular season and postseason, a victory streak that stands at a surreal 216. The Patriots’ last lacrosse loss in league play was to St. Hubert in the 2000 title. Asked if the victory removed a lot of frustration, Beers bristled a bit. Beers extolled assistant coaches Jess Lake and Peter Hewitt. The former mentors the defense; the latter, the goalies. Beers concentrates on the attack. 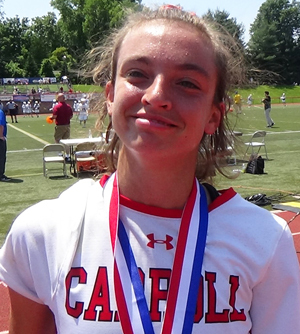 Several Patriots (24-1 overall record) stood out in a game that saw Carroll seize a 5-2 halftime lead but surrender five of the next six goals to fall behind, 7-6. Undaunted, the Patriots tied the game at 7-7 on a goal by junior Sydney D’Orsogna. With both crowds on their feet for the final 10 minutes, Carroll regained the lead at 8-7 on senior Sam Swart’s goal with 9:43 left in regulation. With 5:10 remaining, the Syracuse University-bound Swart scored her third goal of the game to increase the lead to 9-7. Both of her final tallies were assisted by sophomore Madison Henry. Springfield (20-5) then closed to within 9-8, setting the stage for a nail-biting final 4:02. Inside the final minute, Springfield twice gained possession. Its first ownership was interrupted by brilliant stick work by sophomore Liza Dellarata, who said she wasn’t nervous toward the end. The diminutive Ferraiolo praised her defense. Ferraioli noticed her team’s steady improvement over the past four years. In addition to the three goals by Swart and one by D’Orsogna, Carroll also received two goals from junior Katie Detweiler and one each from junior Rachel Matey, junior Grace Gallagher, and sophomore Amber Germer. That want is no more.